The western film genre hasn’t been revved up in quite some time. 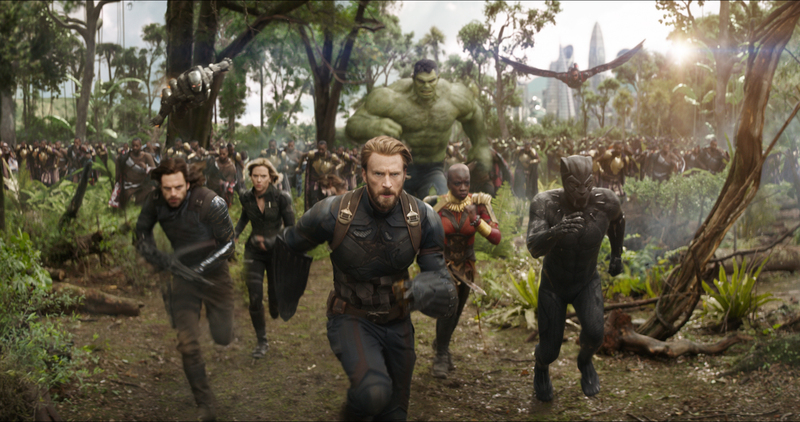 However, Director Antoine Fuqua took on the challenge of remaking a classic of the same name that was inspired by Akira Kurosawa’s cinematic landmark, Seven Samurai. The Magnificent Seven boasts an amazing cast, led by the exceptionally talented Denzel Washington, in his first western, and the charismatic Chris Pratt. 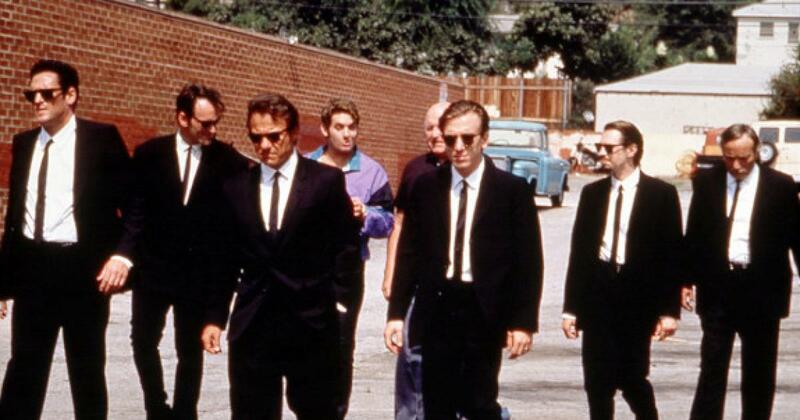 The ensemble also includes Ethan Hawke, Vincent D’Onofrio, Peter Sarsgaard, Byung-hun Lee, and Haley Bennett. The story of badass misfits brought together to save a town from a madman has been done plenty of times before, and this another film that uses that old school template. It’s definitely not a film that’s going to grab a bunch of awards, but it’s a complete blast to watch. The characters create a fun atmosphere in a very diverse outlook of the old west, and all of them seem to be having a ball. This may be Antoine Fuqua’s most beautifully shot film. Fuqua captures some pristine wide shots of the landscape that set you in that time and place. There are only a few action pieces in the film, but they are savage and stylistic. The choreography of the shootouts are captured with great, heroic angles and flare that can only work in a western. This also may be the most brutal PG-13 film in cinema history, as tension builds up and the hammers drop to pile up the bodies. Fuqua’s eye is sharp in this movie, and he really paints a beautiful picture. Believe it or not, but this is Denzel Washington’s first western in his long and versatile filmography. Washington plays Sam Chisolm, an outlaw turned hired gun, that leads a crew of killers to take on the big bad Bartholomew Bogue, played by Sarsgaard, and his army. Washington is just as cool as ever, whether he’s dropping bodies with bullets, verbally slaying somebody with a comeback, or sharing a dramatic scene with Training Day alumni Ethan Hawke. He is definitely a shining star of the seven, and the rest of the cast rise to the occasion. 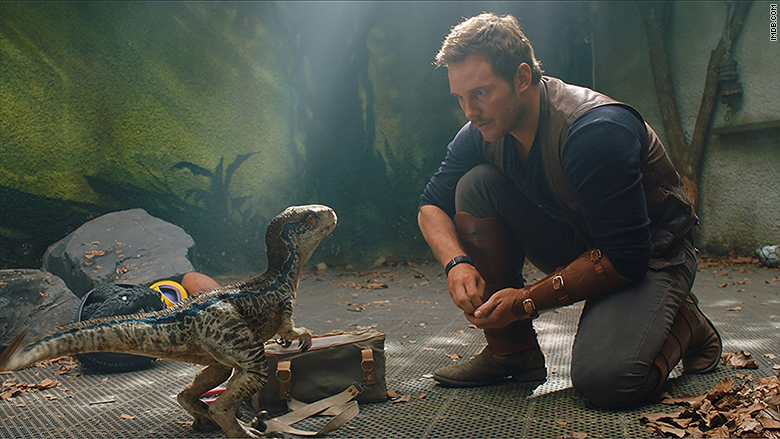 Chris Pratt does a terrific job playing Josh Farraday, an alcoholic gambler that has a taste for magic tricks. He manages to be a badass from time to time while making us laugh, and he is just a pure delight on the silver screen. Ethan Hawke turns in another solid performance, and might just have the most complex character in the film. Hawke portrays the broken character, Goodnight, and does so in a soulful, relative manner. Then there’s Vincent D’Onofrio as Jack Horne, a savage tracker with a kind heart. D’Onofrio always brings something unique to the table, and he loses himself into another role once again in this western. Peter Sarsgaard plays the villain, Bogue, and does well, even though he’s not given much to do besides coldly gun people down, which has become a standard villain act in the cinematic west. The familiar story, and a villain that doesn’t conjure enough menace, holds this film back from being a classic. However, this is a fun ride from start to finish that boasts some magnetic, entertaining performances. 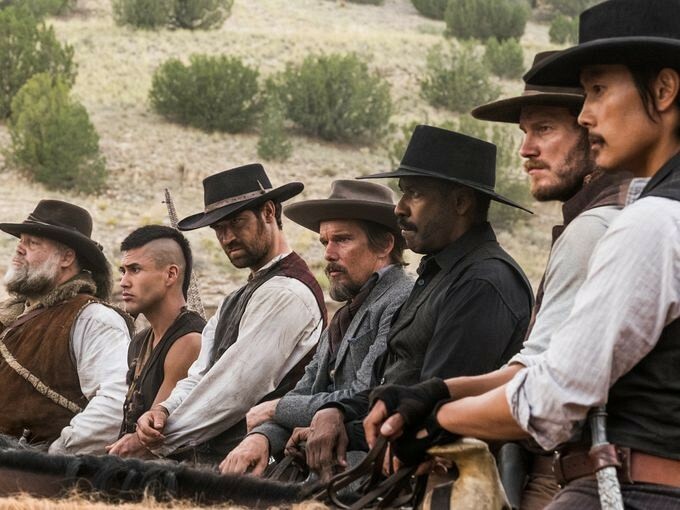 The Magnificent Seven bleeds cool, and is worth the price of admission to the gun show. First Look: SAVAGE #1 – Moore, Henry, & LaRosa Fight for Survival in November!